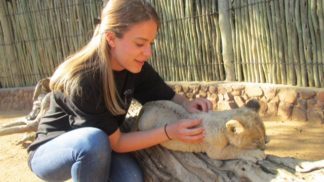 Students will work alongside an experienced wildlife veterinarian and participate in the capture and care of wildlife daily. This is a hands-on programme especially for Veterinary students and is very exciting as well as being instructional. There are no set hours because much of the wildlife work is in response to call outs but students should be ready to work long hours and to work very hard. The wildlife vet is involved with animal relocations, treating sick or injured animals, diagnosing diseases, treating and diagnosing various conditions and the volunteers will therefore see first hand the life of a wildlife vet as he treats the animals in their natural surroundings. Due to the high physical demands of this programme, students are required to be of a good level of fitness. 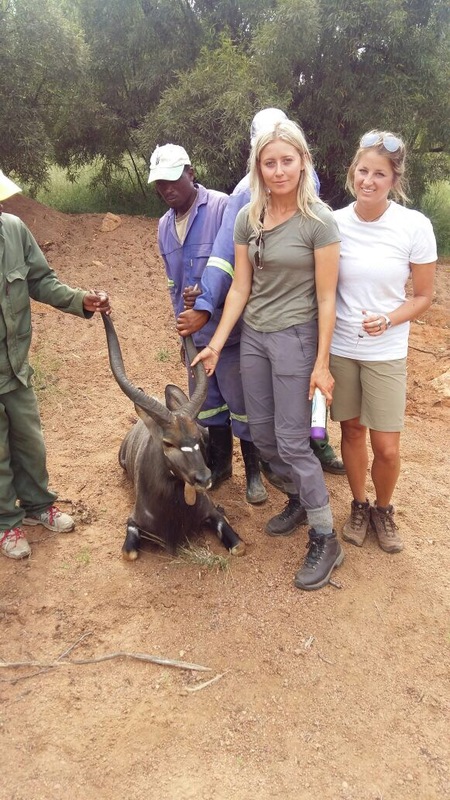 They will assist in the capture, handling and carrying of the animals therefore the work can be very strenuous. Species to be worked on can include any or all of the following: Lion, Elephant, Cheetah, Leopard, Sable-antelope, Black Impala, Giraffe, Eiland, Roan Antelope, Hippo, Rhino, and so on. The programme is usually limited to maximum 4 volunteers at a time. Evenings are spent preparing for the next day, cleaning the equipment, self-study, etc. We work with several different vets, most of them being in the Limpopo province of South Africa. 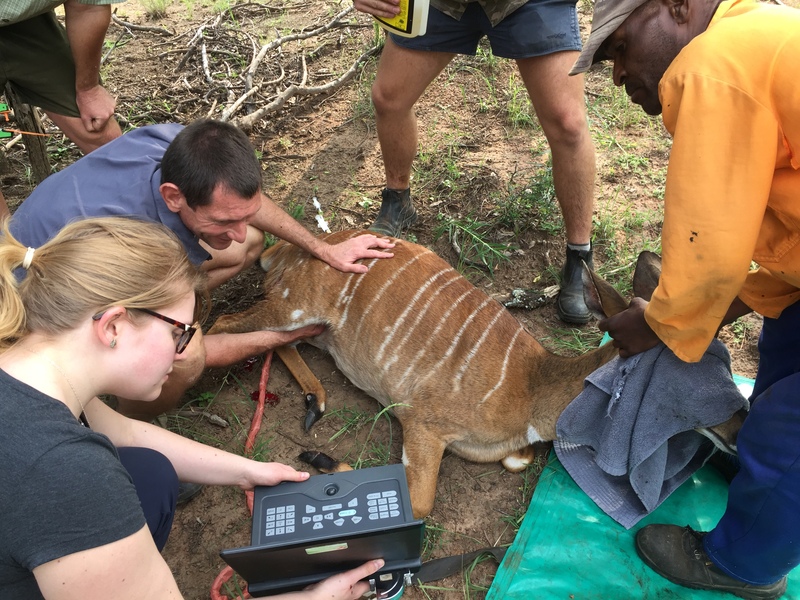 Some of our wildlife Veterinarians are connected to a small animal clinic and students will be able to assist with interesting cases outside their wildlife hours. One student assisted with a post-mortem on a snake, others sutured after a post-mortem and so on. Some students go on call-outs in the middle of the night if they want to and if this is convenient for the vet at time depending on th e emergency. Interested students can also assist in the animal clinic at the weekend or whilst waiting for wildlife call-outs. Our vets work different hours – all of them start early in the morning (about 5am) and they finish sometimes early afternoon and sometimes not until 7.30pm. Students must therefore be adaptable to every situation and ready to also go on a call-out at the drop of a hat! Some of the vets have to travel in a helicopter, usually to dart animals. Sometimes students are fortunate enough to ride in the helicopter too. We will inform you as to which vet you have been placed with and which airport you need to book flights to. We are proud to say that we have approval from most of the Universities in the UK for veterinary students to use the project towards their EMS. Forms should be submitted to Vets and Wildlife who will pass them to the relevant vets for filling in at the end of the project. Most of the Vet placements mean that you have the same accommodation for the duration of your stay which is usually a guest house or room with en suite facilities. However, should the vet have to travel you may sleep in lodges, tents, anything… however, you should not need to rough it ‘survivor-style’ and hot showers and toilets should always be available. The programme provides cereal for breakfast in the morning and supper in the evening. A packed lunch is taken by the student for lunch. If there is an early start there will also be a packed breakfast taken too. Students should arrive at Johannesburg airport on a Sunday morning and then either fly to a local airport where their vet is located or they will be transferred from Joburg airport to the Game reserve if that is closer. They will be transfer back to Johannesburg airport/Vet’s local airport on the Saturday at the end of the programme therefore should book an international flight out late Saturday evening. Accommodation, food, transfer to the Game reserve from either Johannesburg or the vet’s local airport, all project material. Transport back to Johannesburg or the vet’s local airport at the end of the project. Flights to Johannesburg or the vet’s local airport, Medical Insurance (please check the links for Insurance information), luxury items (chocolate, cigarettes, alcohol etc), trips on days off.